I remember when I was a kid, Walkman players were only accessible by the rich kids in school while the rest of us sat at the sideline envying. Then when my parents finally bought me a Walkman, along came the CD players to put us back at our sad little corners once again; those were the days. 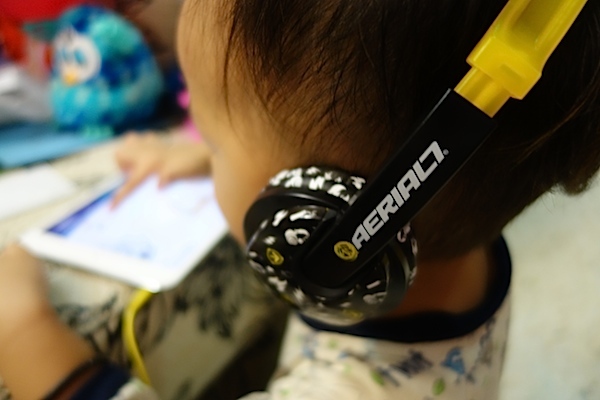 These days, kids not only have their parents’ or even their own smartphones to play with, but there are even tech devices specially made for kids like the Aerial7 headphones we have for review today. 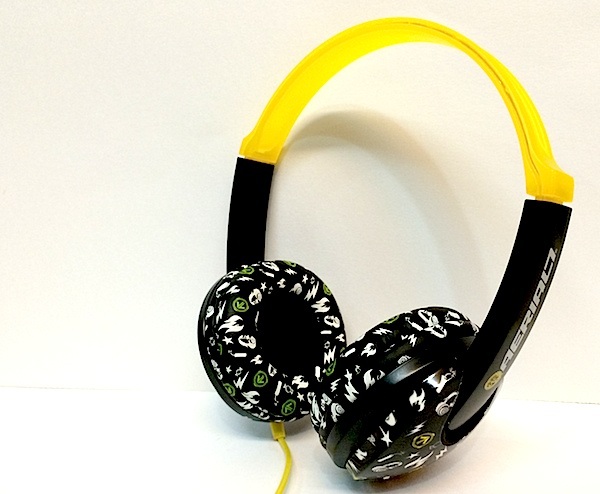 Aerial7 is a company famous for its stylish range of headphones that are like no other. 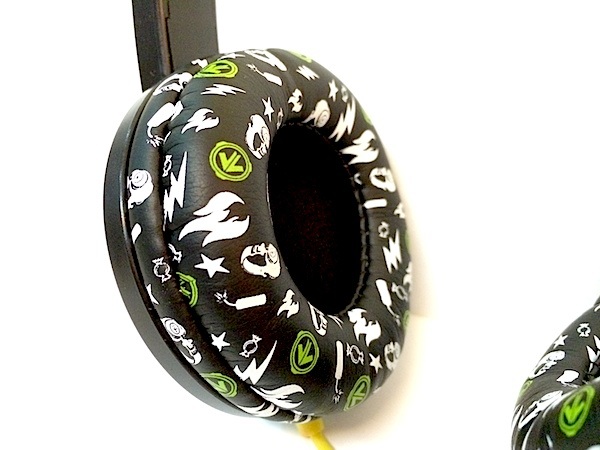 Founded back in 2008, all their audio products are unique and are influenced by the founders’ passion for art, music, street culture, fashion and the active lifestyle they live and breathe; hence the colorful and edgy designs. 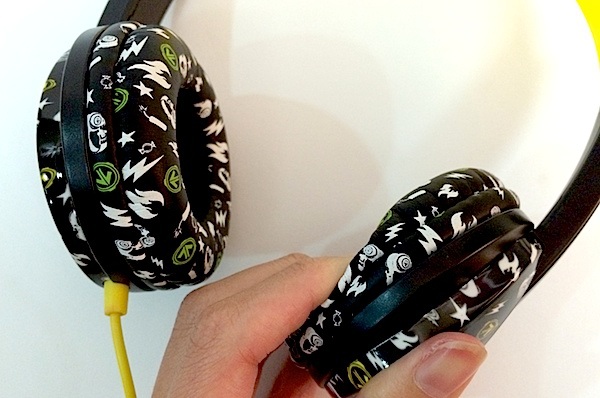 They have a range of headphone and earphones created for just about everybody, including the Aerial7 Bantam (or Aerial7 Arcade according to their website) that is specially designed for kids of age 3 and above. But why would children require headphones specially designed for them? Music plays an important role in our lives, it not only can help induce a meditative state for a therapeutic effect to relieve symptoms of stress, and music is also believed to be able to improve sleep quality, elevate mood, improve cognitive performance and more, so giving children a made-for-children headphones is beneficial to them not only to help them concentrate better for their studies, but maybe also put them in a better mood – you know, from all the stress they get from school and what not. 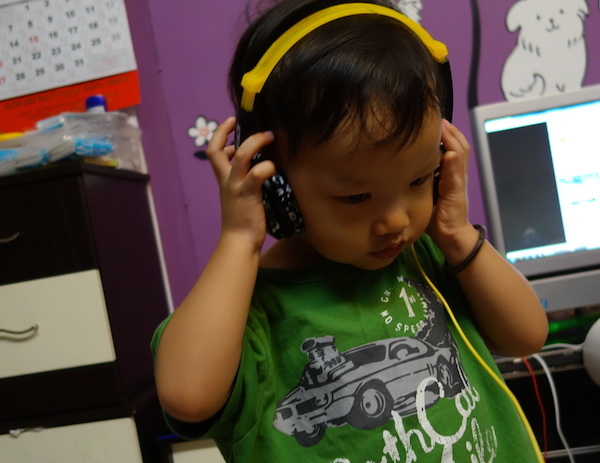 What’s more, the headphone is specially designed for children that puts safety and the comfort as the top priority. Designed to comfortably fit children’s heads, it delivers the highest-quality listening experience as well as Automatic Volume Reduction (AVR) technology to ensure that they are listening to their music at a “safe” level. I think AVR is a very important feature to be included in a kid’s headphones because, well, kids will be kids, and they might accidentally max out the volume on their device. With AVR on board, the volume will be automatically be reduced to 85db. Despite having AVR on board, because the Aerial7 Arcade can block out ambient noise and is able to reproduce high-definition sound, the audio is not compromised; your kid will still be able to enjoy his/her music at a safe level without complaining that it’s too soft. 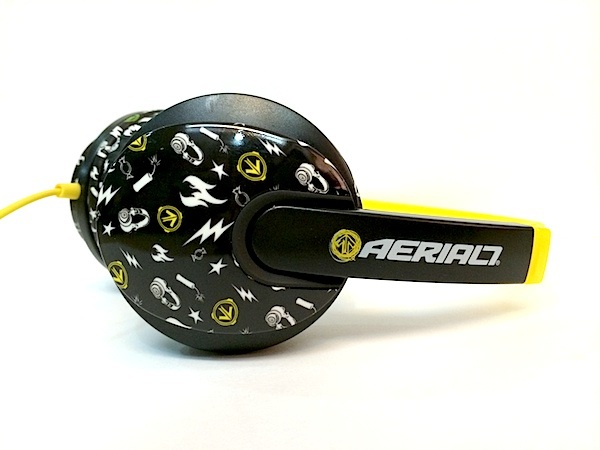 Like the other headphones the company offers, the Aerial7 Arcade is without a doubt very stylish. The one we have for review is the Arcade Pakman, a yellow-themed one filled with edgy design and I guess yellow is a safe color choice that is suitable for boys and girls. There is also a wide collection of designs of pink (Arcade Angel), blue (Arcade Sonic) and even red (Arcade Asteroid). 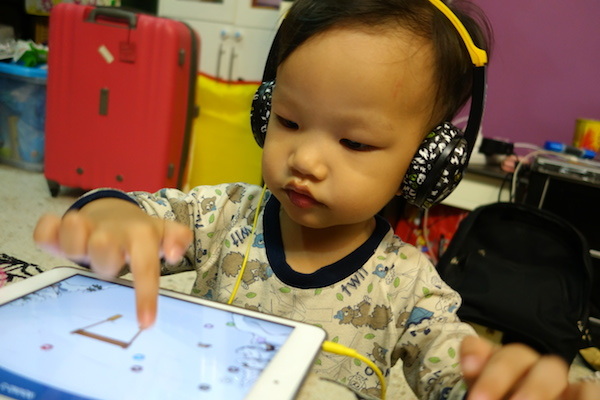 The headphone comes with a very soft and comfortable earpiece that fits rather snugly even on my 2.5 year old and the headband can be easily adjusted to fit different users. I love the design a lot actually; it may be made for children but the design is still very stylish and I wouldn’t mind using it for myself. Since my 2.5 year old can’t tell me how it is to use it, I decided to put them on for myself and it is indeed very comfortable to wear. When worn, it does indeed filter out most of the ambient sound, but not too much so I am still aware on what’s happening around me. With my music turned on even to the loudest volume, the Pakman will automatically adjust it to a “comfortable” level that I think is pretty reasonable. However, I’m not sure how rebellious teenagers would react to the limitation in the volume, but personally, I think the maximum volume is comfortable enough for everyday use – you wouldn’t want your child to spoil his/hear hearing by turning on their music too loud so a limit is definitely good for them. While my son certainly do not need a headphone at his age, I can totally see how this would be beneficial for parents with older kids. Take them for a long ride back to your hometown, pass them a gadget plus the headphone, and you can have a peaceful drive…for 10 minutes at least. They can listen to whatever they want while you can enjoy the music on your vehicle in peace. 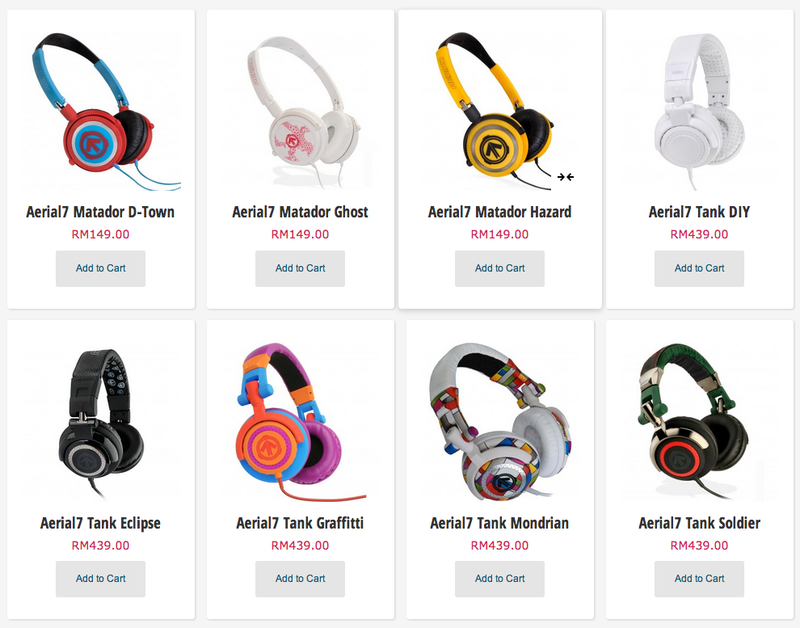 The Aerial7 Arcade range of headphones can be purchased at RM149 and is available at our very own Storekini.com. 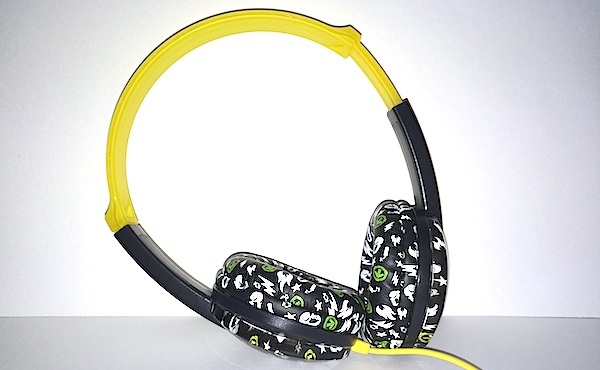 The Arcade series is especially designed for kids but if you do not fancy the designs they have, you can also find a wide range of other Aerial7 headphones designed for other markets; there’s even an Aerial7 Tank DIY that, as its name suggests, lets you create your own design.